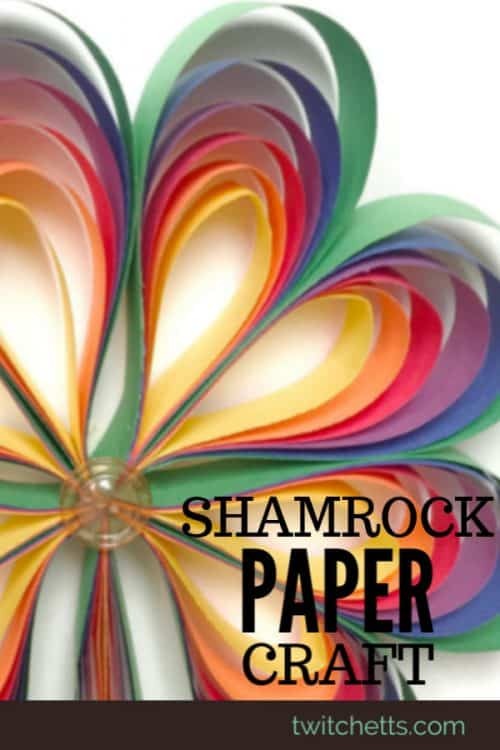 Creating these jaw-dropping rainbow colored paper shamrocks is much easier than you might think. 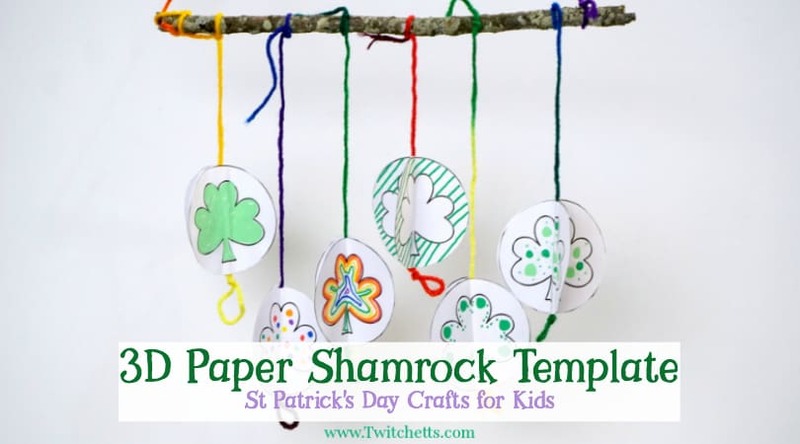 Grab some construction paper and let’s make this fun St Patrick’s Day craft for kids! Like many crafts and activities we do, they often start as one thing and evolve into another. 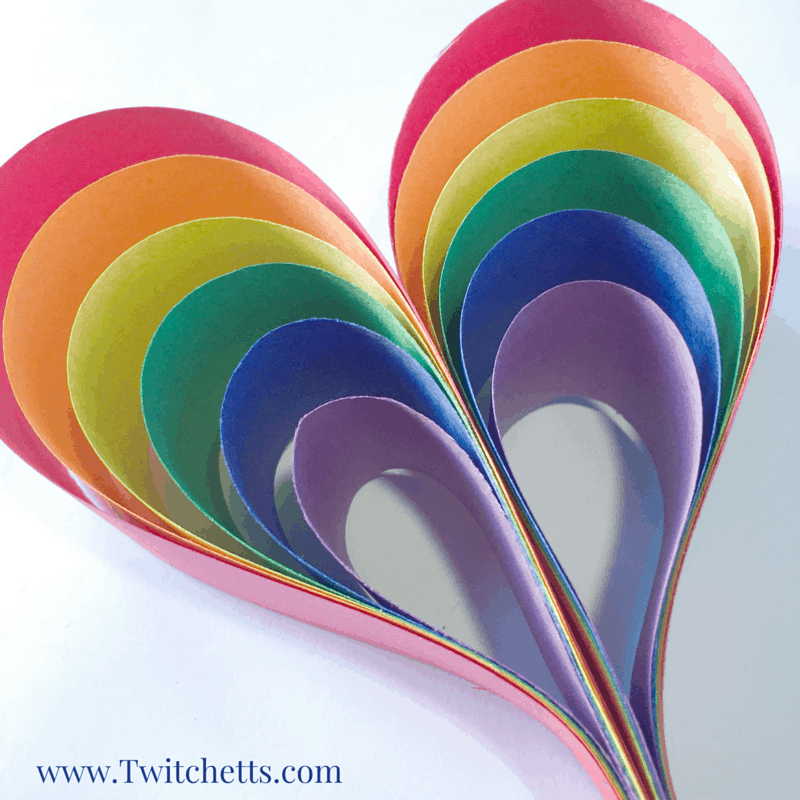 This craft started as a paper rainbow, then it morphed into this cute Rainbow Heart. 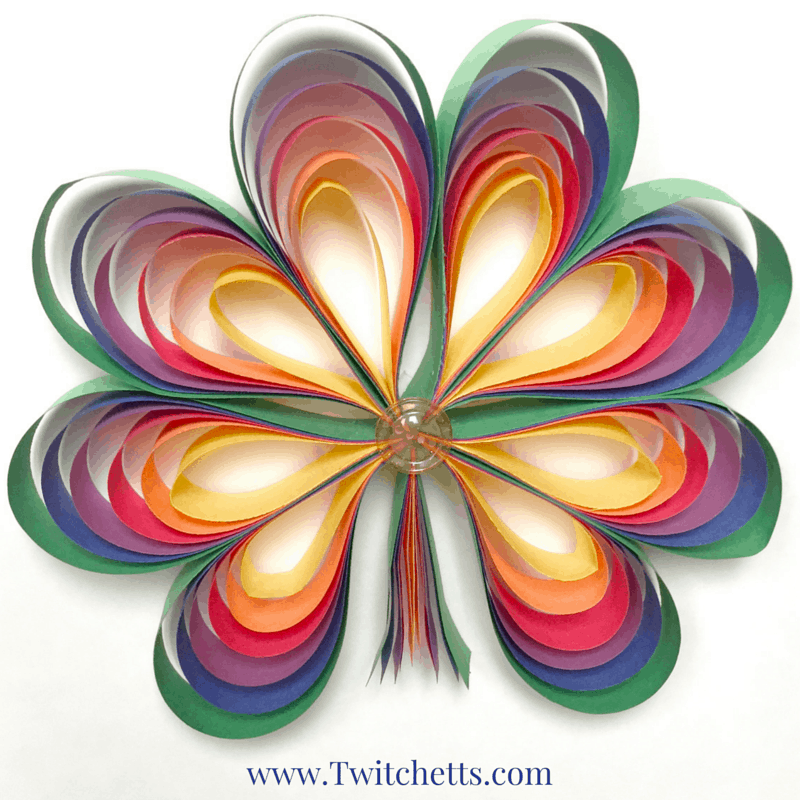 Before we knew it, we had these fun rainbow paper shamrocks and we have become obsessed! 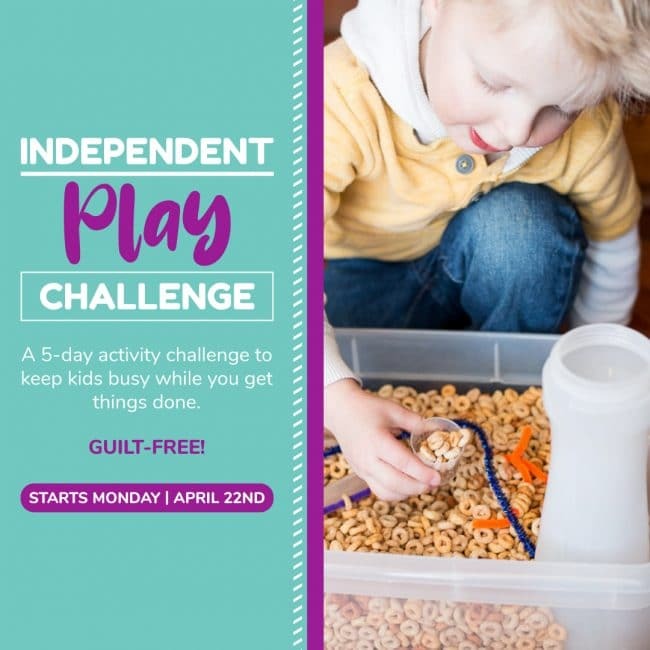 They are actually super simple to create and your kids will love to make them! 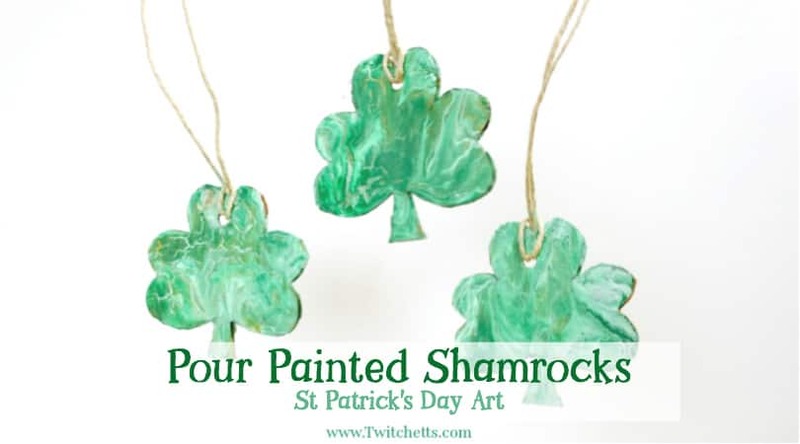 You can use them to decorate your house for St Patrick’s Day or to give to loved ones! 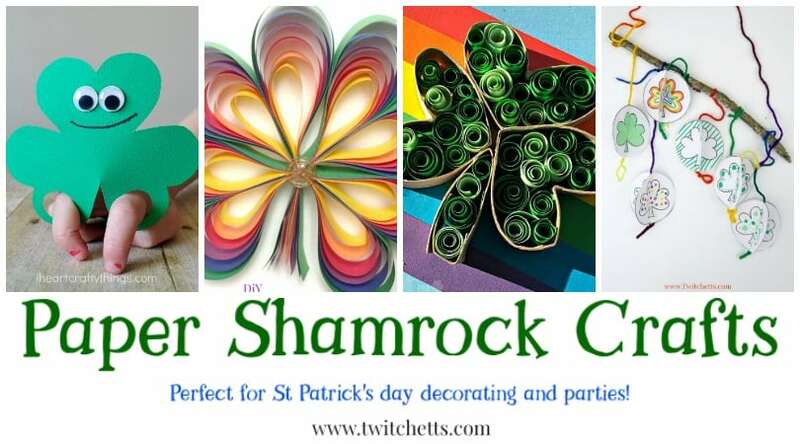 Don’t miss these easy shamrock crafts! Construction paper. One piece of each rainbow color. Red, Orange, Yellow, Green, Blue, & Purple. 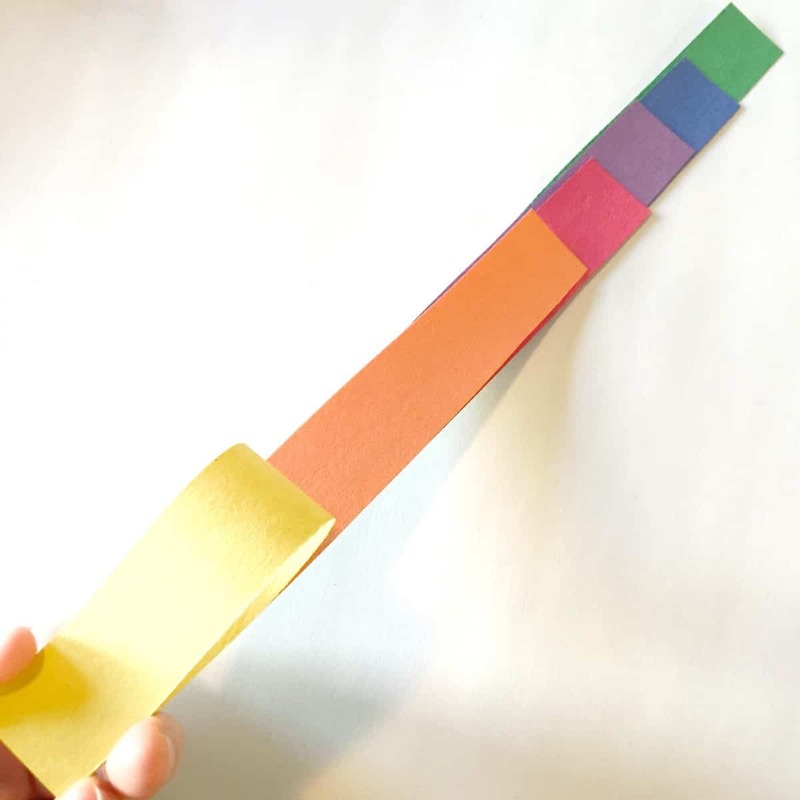 Start by measuring across your construction paper. Make dashes every inch. 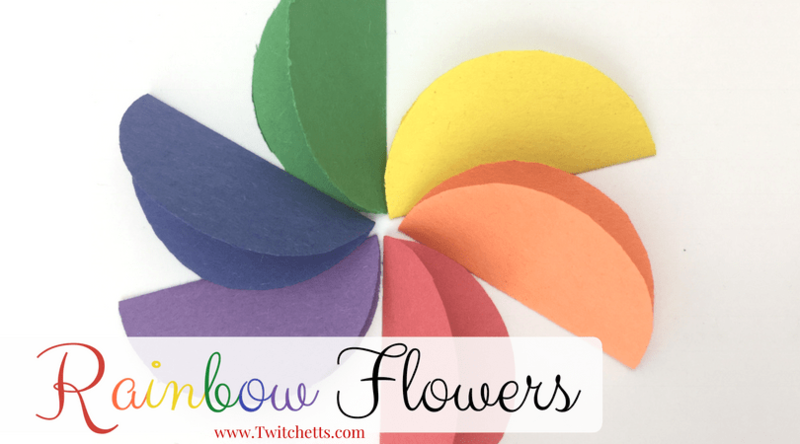 Most construction paper is 9″ wide which works out perfect to create your 8 leaf pieces and one stem. 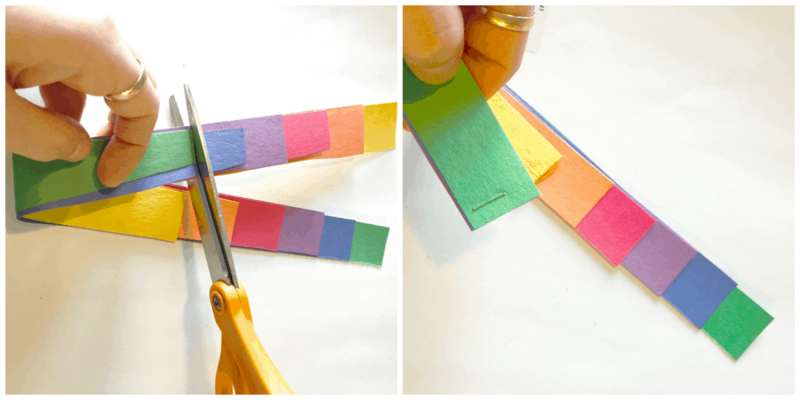 Slide each color back about an inch and then cut all the ends off even with the green. This will make each color a different length. Green longest all of the way to Yellow as the shortest. Staple the end where all of the colors are even. 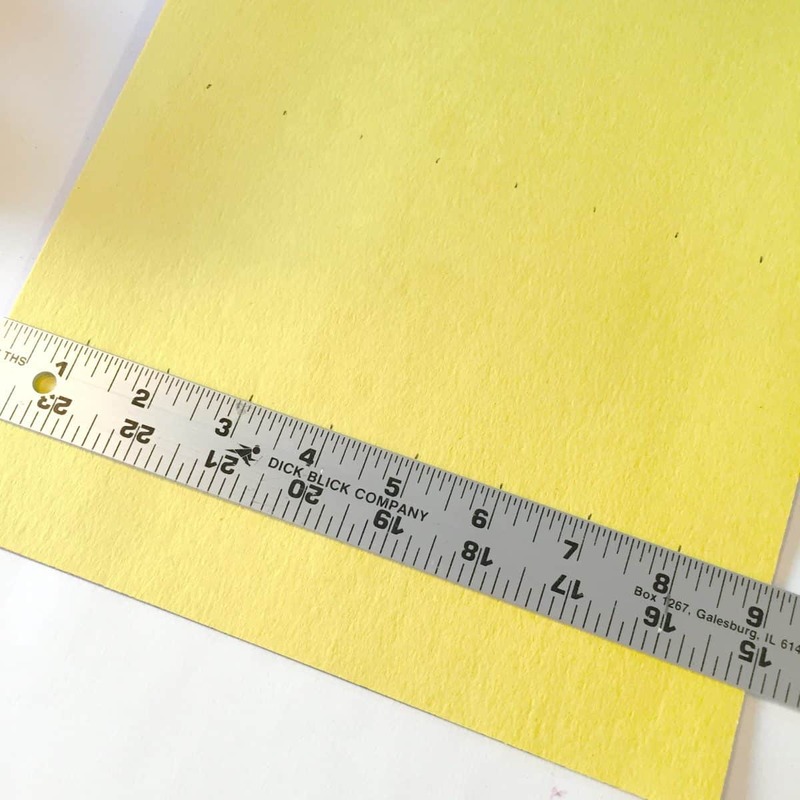 Starting with the Yellow, fold each color down to the bottom creating a teardrop. Staple the ends together. Then attach two tears together to create a heart. Repeat this 3 more times to create a shamrock, 4 more times to create a 4-leaf clover. Then on the last teardrop trim off the arch to create the stem. Line up your leaves and stem and squeeze hot glue down the center. Add a Button in the middle, to hide the seam, and hold it all together. Then flip and squeeze some hot glue down the back center. Then you are done! Such a fun St. Patrick’s Day decoration. 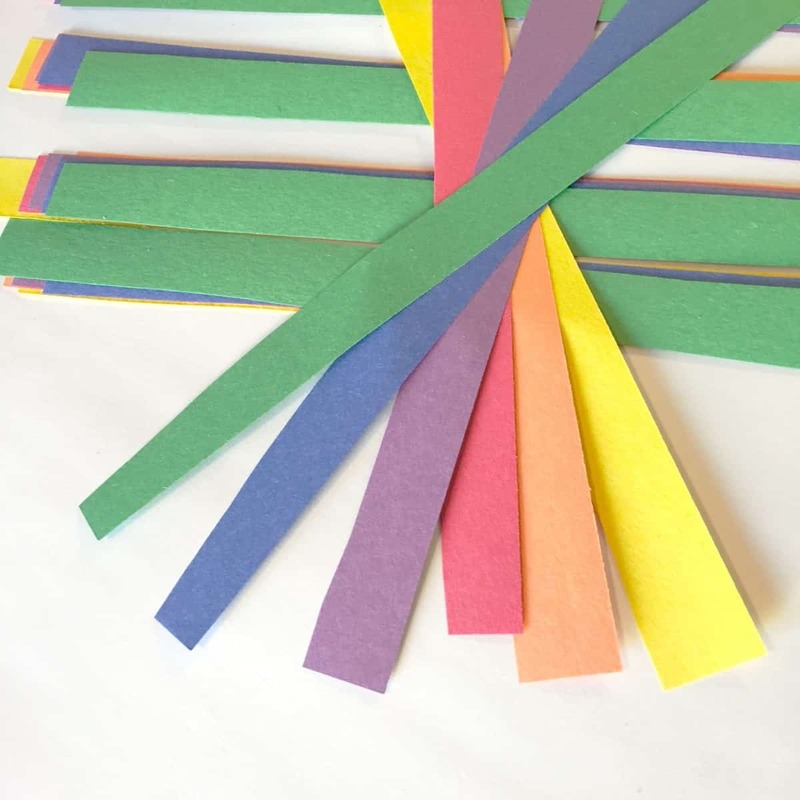 You could make 1, 2, or 10 of these Rainbow Shamrocks to decorate for the holiday! 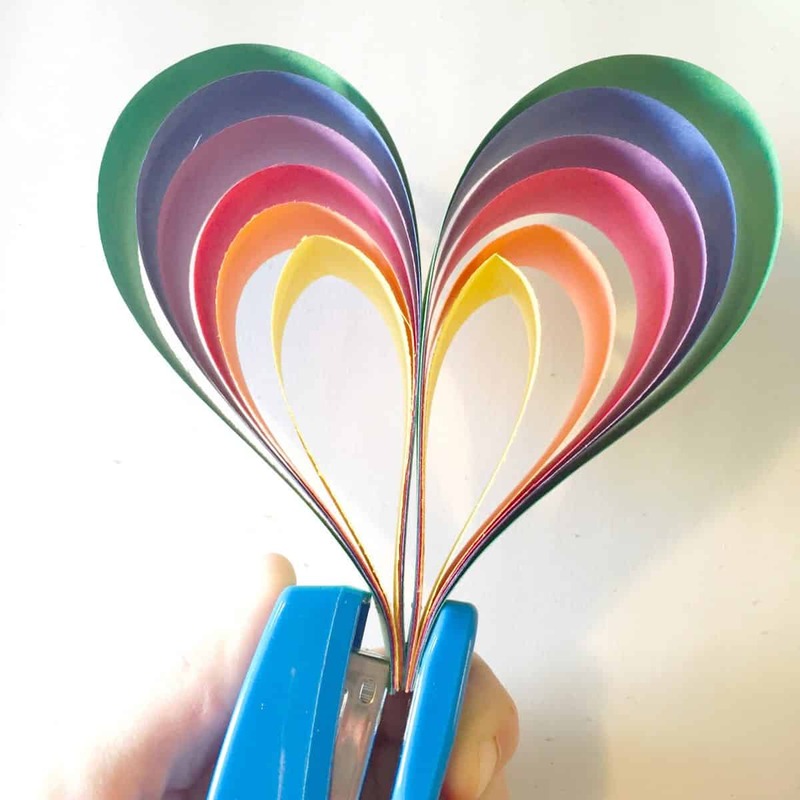 Or just make a bunch of fun construction paper hearts! 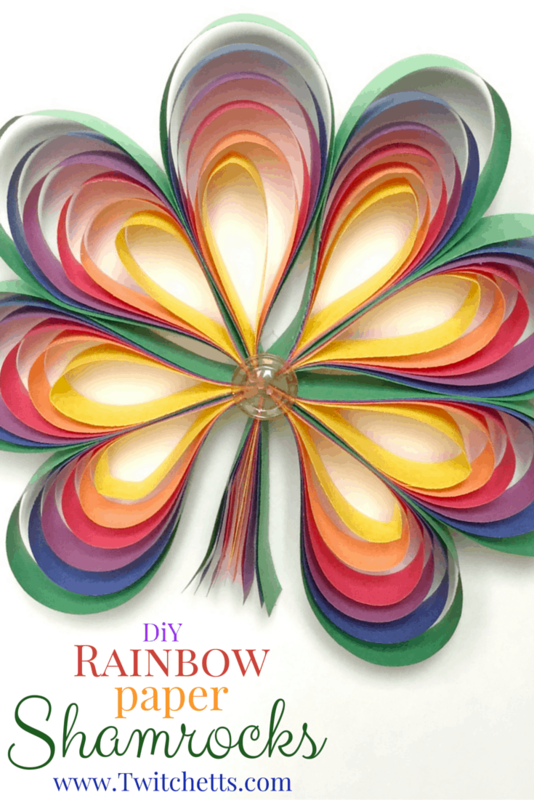 Pin this fun paper craft to your favorite Pinterest board!